Not far till May 16, the release date for Prince Caspian: Return to Narnia. Lots of pictures have been released. Check here for some great shots: spoiler pics. 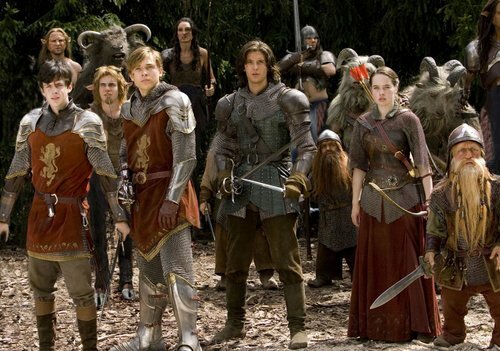 If you are interested in helping to promote the film, the following site has banners, invitations, study guides, etc to help you let adults and kids into the world of Narnia and Prince Caspian. Check it out: promo materials. It will be worth the effort. For those who might have forgotten the message of the second book of the Chronicles of Narnia, it's about recovering the truth, the importance of story, the necessity of faith, oh yeah, and God really does exist and evil never gets the last word. Not a bad message to an increasingly secular world.